Amyloid peptide fibrillogenesis induced by Cu(II) ions is a key event in the pathogenesis of Alzheimer’s disease. Dendrimers have been found to be active in preventing fibril formation. Therefore, they hold promise for the treatment of Alzheimer’s disease. 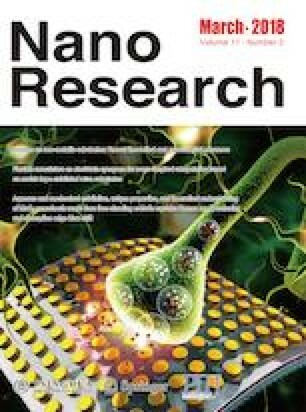 In this study, the fibrillation mechanism of amyloid peptide Aβ 1-40 was studied by adding Cu(II) in the absence and presence of 4th generation poly(propyleneimine) glycodendrimer functionalized with sulfate groups, using dynamic light scattering (DLS), circular dichroism (CD), fluorescence, electron paramagnetic resonance (EPR) and molecular modeling (MD). The glycodendrimer was non-toxic to mHippoE-18 embryonic mouse hippocampal cells, selected as a nerve cell model, and decreased the toxicity of peptide aggregates formed after the addition of Cu(II). The binary systems of Cu(II)–glycodendrimer, Cu(II)–peptide, and glycodendrimer–peptide were first characterized. At the lowest Cu(II)/glycodendrimer molar ratios, Cu(II) was complexed by the internal-dendrimer nitrogen sites. After saturation of these sites, Cu(II) binding with sulfate groups occurred. Stable Cu(II)–peptide complexes formed within 5 min and were responsible for a transition from an α helix to a β-sheet conformation of Aβ 1-40. Glycodendrimer–peptide interactions provoked the stabilization of the α-helix, as demonstrated in the absence of Cu(II) by the Thioflavin T assay, and in the presence of Cu(II) by CD, EPR, and MD. Formation of fibrils is differentially modulated by glycodendrimer and Cu(II) concentrations for a fixed amount of Aβ 1-40. Therefore, this multidisciplinary study facilitated the recognition of optimal experimental conditions that allow the glycodendrimer to avoid the fibril formation induced by Cu(II). Supplementary material (influence of copper ion concentration on the fluorescence of ThT, experimental and computed components of the EPR spectra for the binary systems, Aβ 1-40 dimer free energy profiles and free energy difference between the monomer–monomer bound and unbound state) is available in the online version of this article at https://doi.org/10.1007/s12274-017-1734-9. We wish to thank our students: Pawel Piatek and Agnieszka Karenko for their assistance with the collection of a part of the data. Authors also thank Mrs. Christiane Effenberg for synthesizing the glycodendirmer, Dr. Hartmut Komber for NMR measurements and Dr. Susanne Boye for AF4 measurements.